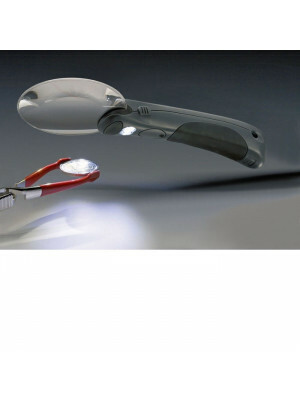 Clip-on Magnifier for glasses, 5x magnification. 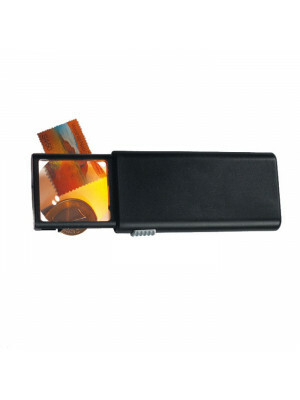 Lens diameter: 30 mm, 16,35 dioptre, spherical, acrylic. 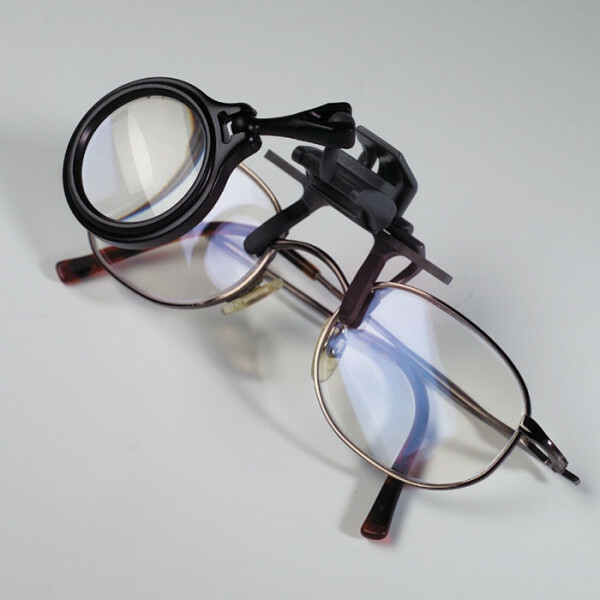 The flexible joints allow the magnifier to be positioned precisely for glasses and eyes.